Trimmers come in a wide variety of tabletop and large-format floor model configurations to fit your needs. 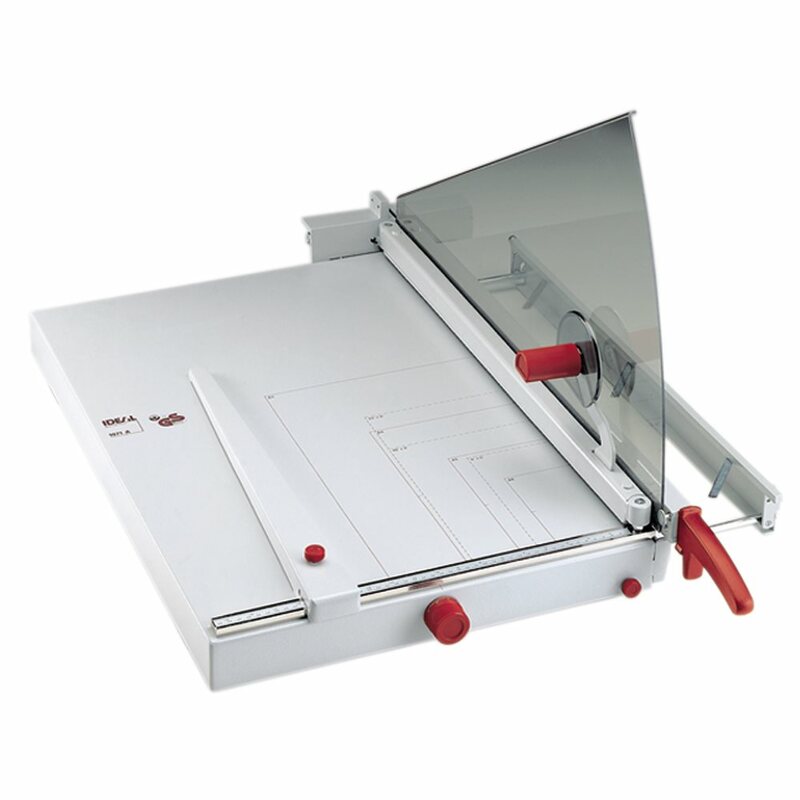 Whether you choose guillotine or rotary, trimmers are the perfect choice for final trimming of paper, laminated materials and a wide variety of applications. Fold away paper supports on front guage allow precise paper alignment. Variable clamping pressure is applied with the manual hand clamping device. Transparent Lexan safety guard. Precision side guides scaled in inches and metric system. All-metal construction.